Logistics is an important aspect of Smart Cities and drones are expected to revolutionise this area. But how can individuals receive drone deliveries conveniently at home – even when they are out? The German startup WIN-PORT (a composition of “window” and “transport”) is in the course of developing a solution. This interview was originally conducted in German and translated. The initial version can be found under Startup Profil WIN-PORT: Drohnenlieferungen ans hauseigene Fenster. Thank you for sharing some insights about WIN-PORT. In a nutshell: what do you do and what problem do you solve? WIN-PORT offers a solution, delivering packages to recipients’ windows using drones. Currently, the system is used for intra logistics of big companies and hospitals. In the long term, we intend to make the system available to private users, as soon as legislation and technological developments allow it. This will make the expensive final delivery section of today’s transportation system much more cost-efficient. How did you come up with this idea? What is the story behind it? We looked into possible applications of innovative ideas and asked ourselves: where else could drones be used to deliver parcels? A lot of people do not have a garden but nevertheless want to make use of drone deliveries, without having to leave their apartments. Furthermore, the industrial sector that still relies on cumbersome and therefore costly transportation systems has shown growing interest in our product, since we are offering a modernized version of the pneumatic post that can be used for urgent deliveries on factory premises. How big is the team behind WIN-PORT, how did you get to connect and what backgrounds do you have? The team of WIN-Port mostly consists of a group of friends, who bring their personal strengths to the table. The interdisciplinary cooperation from the fields of technology, economy, computer science and marketing is especially important. However, we also integrate input from behavioural science. We think that projects carried out by friends will be more common in the future and we want to set an example in our region. Several experienced management consultants and renowned professors have joined our project. It is important to us that we see eye to eye in all matters and share the same goals. Your drone delivery solution is not yet on the market. What will be your next steps? What are the milestones you want to reach next? At the moment, we are testing our prototype and working together with a drone expert who is able to offer transportation that is autonomous and, most of all, safe. Safety and reliability are our undisputed priorities. We will not enter the market before being able to ensure absolute safety. As soon as reaching this achievement, we will equip our first industrial customer with a WIN-PORT solution. Additionally, we will launch pilot projects with big postal operators like the SWISS Post. Simultaneously, we will be expanding our patent internationally. Is there a way people can support you? In the near future, we will be set with private and state subsidies. However, we are always open to interested investors, who can identify with our vision and want to profit from its great scalability. Can you give us a little insight into how you first came into contact with drones or smart cities in general? We are broadly interested in future issues, and drones and smart cities will inevitably play a big part in all this. To us, the third dimension has the biggest potential, since it is largely unexploited. Even the long-held dream of transporting people with drones seems to be on the brink coming true. All of this will massively influence our cities. Considering the trend towards megacities, we have to address the issues of energy and emissions. Even here, drones offer the possibility of tending to a great number of people quickly, conveniently, efficiently and sustainably. Temporary installation of WIN-PORT using a clamp connection. What do you see as short-term and longer-term opportunities for drones to impact logistics or the way we live in general? In the short-term, drones will be responsible for a massive increase in efficiency, mainly on industrial sites and in rural areas. The new regulations concerning drones limit private use to a sensible scope. At the same time, possibilities for commercial use are being extended and the general ban on non-overlooked flights will soon be lifted. 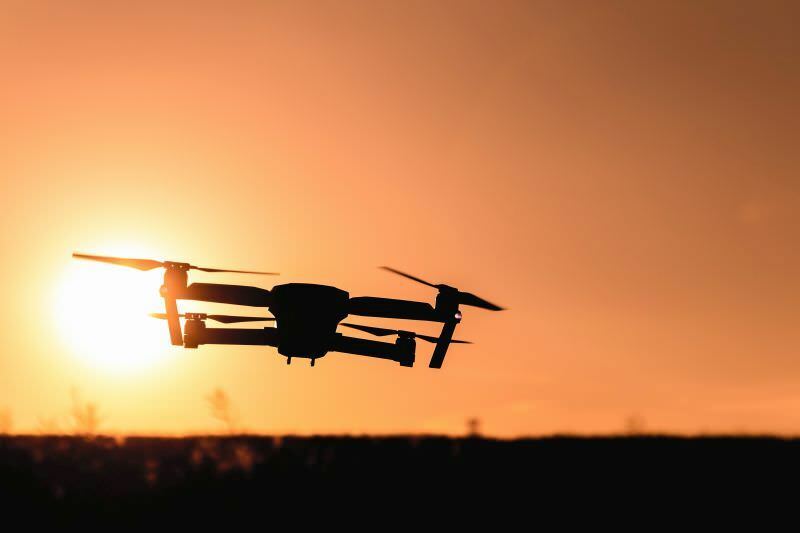 With the development of technical capacities and the increasing acceptance of the population, drone delivery will be implemented even in densely populated areas. Of course, we will need regulations, so drones will not have a negative impact on cities or even be a hazard. In terms of noise minimization for example, we continuously see interesting solutions. Is there a specific development you are currently excited about? And on the other hand, do you think there are specific obstacles that we need to overcome in Europe? We are also working on a project dealing with autonomous driving, which is another topic we are very interested in. Drones profit from the automotive industry’s rapid progress in camera technology and algorithms. Bosch wants to put robo-taxis on our streets in 2018. We also concern ourselves with M2M communication and developments like the possibly next generation Blockchain IOTA and of course Artificial Intelligence. In our opinion, Europe is well-positioned in this field. It is important to provide incentives, so that the necessary expertise of European universities and companies remains in Europe, and expert knowledge is maintained. However, despite all the advantages of Artificial Intelligence and the extensive use of sensors, one should not dismiss possible downsides. We will need regulations early on. What do you think will our life in smart cities look like in 5‚ 10 and 25 years? The rapid technological development – which can be explained with Moore’s law – will change many aspects, also in smart cities. For example, the development of autonomous vehicles will lead to a reduction of cars of up to 80%. In turn, many parking spaces in cities will be obsolete. Kids will be able to play near to streets with a smaller risk, restaurants will be able to expand, cities will become more green. Singapore is already a great example of this. The development towards a sharing economy will probably affect the housing market and together with the trend towards home offices, will lead to mixed property use. Flexibility is an important factor for the younger generations in choosing a job. They prefer work, leisure time and living to be close together. With WIN-PORT they will be able to post and receive deliveries quickly and at any time. Communication between smart machines will lead to convenient and useful simplifications. Despite the euphoria, from a political point of view there are no clear approaches to how society will deal with the consequences of these massive and dynamic changes. Difficulties in adaption will bring some uncertainty. How do you evaluate the overall career opportunities in the smart city sector? The loss of jobs through digitization has already been widely discussed. The question should now be: how many jobs will be lost? However, the smart city sector surely is an industry in which new jobs will be created. In urban development especially, there is already a huge demand, and with time it will surely increase even more. It will be extremely dynamic and everybody should be prepared for this, as we certainly won’t be able to turn back time. What characteristics and skill sets should someone bring to the table trying to have an impact? What traits would you deem most important to successfully move into the smart city sector as a university graduate, startup entrepreneur, or job seeker? Generally, the demand for creativity is bound to increase. It will definitely help if one likes to design, if one is optimistic and if one is not afraid of change. Hierarchies will be flatter and emotional intelligence more important. Because of this it will be more important to have experience in different areas and to develop social skills – smart cities need smart residents. What advice would you give to graduates who want to join the smart city industry or a smart city startup? Be familiar with a wide range of topics. It is important to broaden your horizon and to connect different fields, to contribute to a more positive future. Which three qualities should your ideal candidate have? To us, a high level of understanding and openness to change are very important. This should be mixed with a good sense of humour. With this, anything is possible! Jakob, thank you very much for this interview!